I love taking a trip. Especially day trips. It is so much fun to just take a trip with my family. We recently took a day trip to Alabama a few weeks ago. 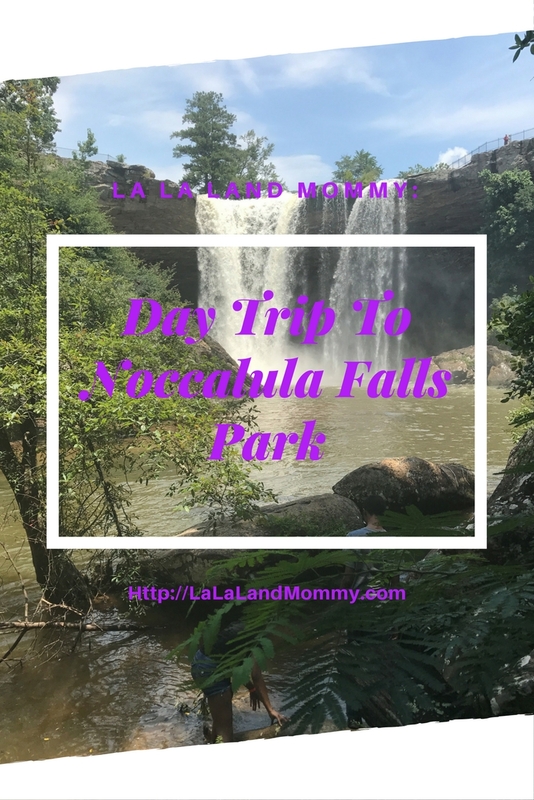 We visit Noccalula Falls Park. It is located in Gadsden, Albama. It is about a 2 1/2 hour drive from where we live in Stone Mountain. 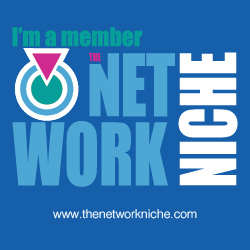 Believe me it is well worth the drive. Entry is $6 per person over age of 12. Ages 6-12 and seniors it’s $4. If you want to play mini golf like we did you can get a combo for just $2 more. Without the combo mini golf is $5 for adults and $4 for children 6-12 and seniors. So for $32 my family of four had a great time. 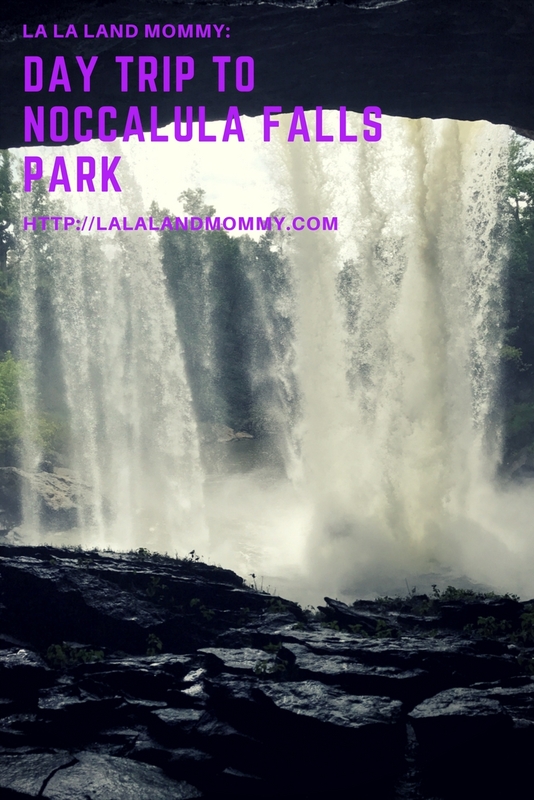 At Noccalula Falls Park there is plenty to do. You can see a waterfall, visit the petting zoo, and play mini golf. There is also a train that can take you to various spots. We started our visit off with visiting the waterfall. It is about a 2 mile walk from the entrance to the waterfall. One note. Please wear tennis shoes. I made the mistake of wearing sandals. I didn’t know we were going hiking. But it was all good. I took my shoes off and made it work. When you first go down the path it’s very steep. It is not recommended that you take a stroller down there at all. You can see the waterfall from 2 different views. But the highlight of this trip is we could actually walk behind the waterfall. It is such a beautiful experience. 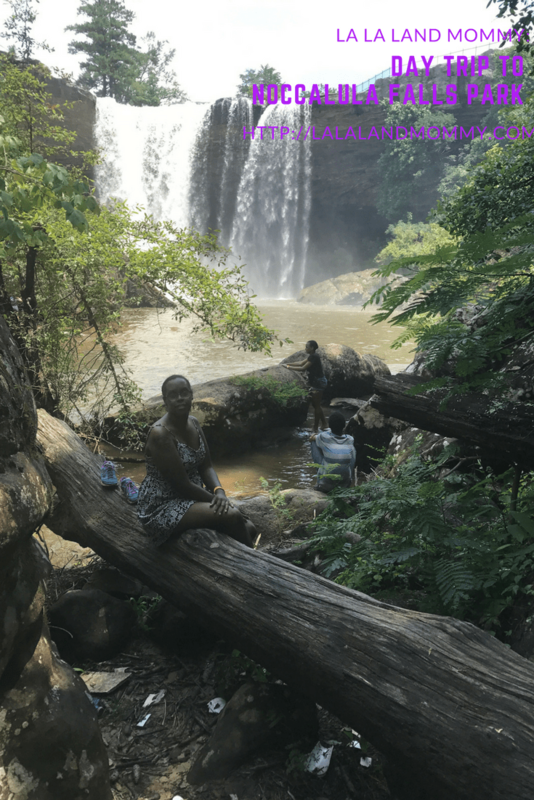 The falls are really beautiful and a wonderful experience. I was really glad to have this experience. Another really cool thing is when you walk the path to get a closer view of the waterfall you will see a rock that appears to have a face on it. We really got a kick out of that. 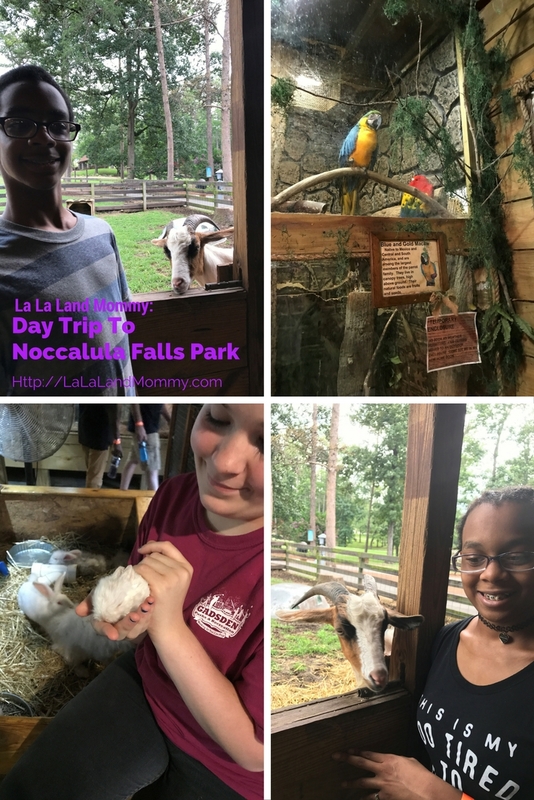 After hiking the path to the waterfall we headed to the small petting zoo on the property. They have some cute animals. There were goats, donkeys, rabbits, llamas, snakes, and so many more animals. We were able to feed the goats and the llamas. We got to see baby rabbits. There were so many. We were shocked to find out that they were all produced by one male rabbit. He has been a busy boy. It was fun to see all the animals. By the time we left the petting zoo it was getting ready to rain. It had started to drizzle a little but we decided to play mini golf anyway. We decided if it rained harder we would leave. We got to do about 4 holes before it really started to rain. It was really fun. So we headed off to go get something to eat and then home. We had a great day. All for $32. It is definitely worth the trip.